The mural depicts the life normalmennte were and are many of the inhabitants of Sardinia, which is to look after the beestiame. 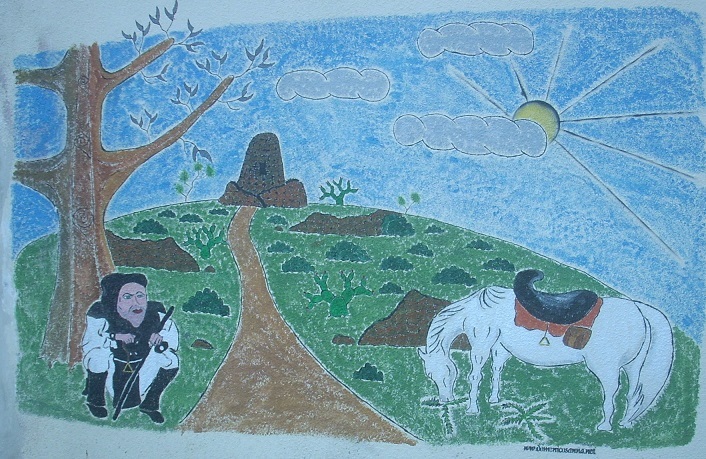 In fact, the drawing depicts a shepherd waiting for the day will end in the middle of the vegetation with his horse graze freely. has been a dolmen at the top of the hill. The Nuraghe of Sardinia is typical and unique, not to be confused with the dolmens.